What do you call a group of frogs? A colony? A chorus? An army? 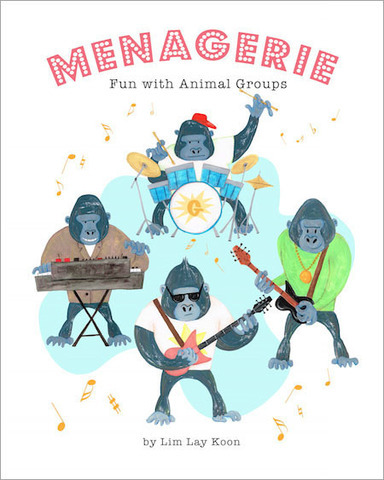 Have fun with this book learning the many strange and wonderful names for groups of animals! Lay Koon's illustrations will have children tickled and giggling as they learn new words. LIM LAY KOON comes from a computer science background. She is a self-taught illustrator and enjoys illustrating the little details of everyday life. She has published several books with her sister Lay Har, such as Atuk's Amazing Sarong and Master & Apprentice. She has also illustrated a scifi chapter book, The Nanobots and Other Stories by Golda Mowe. Other books include The Mystery of the Missing National Anthem by Heidi Shamsuddin.